It’s been ages since I visited Austin (Christmas! ), so I decided to book the Von Lane bus next week to head home for Easter Weekend. This time of year is always a little bittersweet, with my dad’s birthday on April 10th and the anniversary of his death on the 14th. It was actually Easter weekend when he died back in 2006, so while this holiday is one to celebrate it’s also one I don’t always like spending on my own. While I am excited to visit Austin and hang out with my mom, I am a little sad to miss the service at my church here in Dallas – I’ve really enjoyed getting back into a routine of going every Sunday and love Paul’s sermons. You can read more about that here! 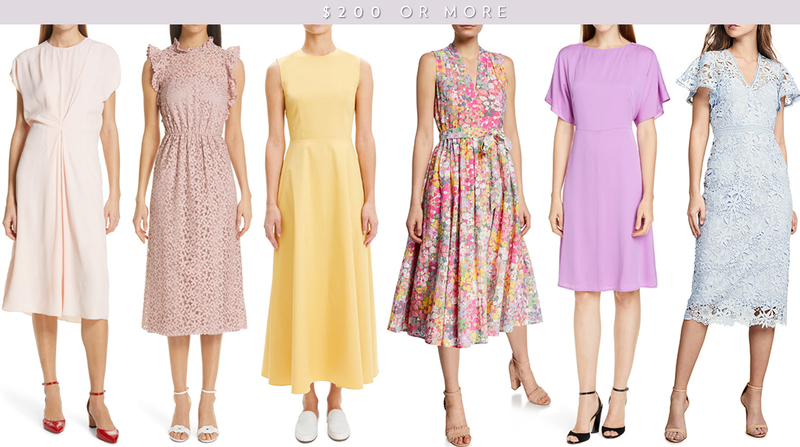 In the last couple of weeks, I’ve received some specific requests to share some dress ideas for Easter church and brunch. While I know not everyone who follows me is Christian (maybe you’re not religious at all! 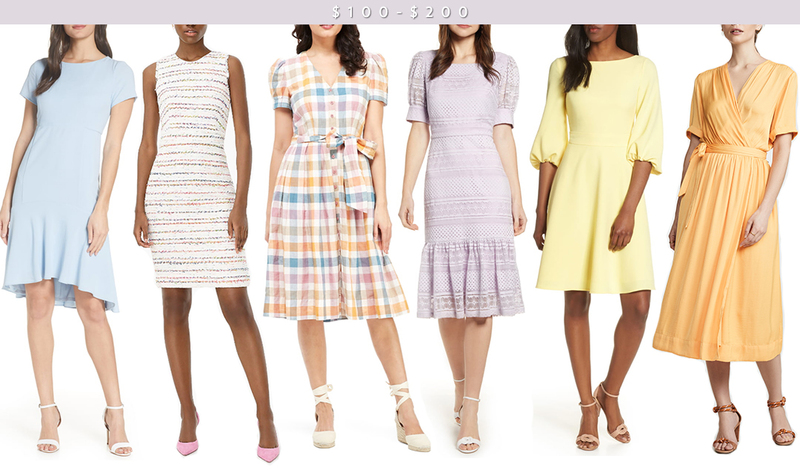 ), many of the dresses I’m featuring here would also work equally well for weddings, luncheons, nice dinners and all kinds of spring/summer events! I broke them out by price point – enjoy! 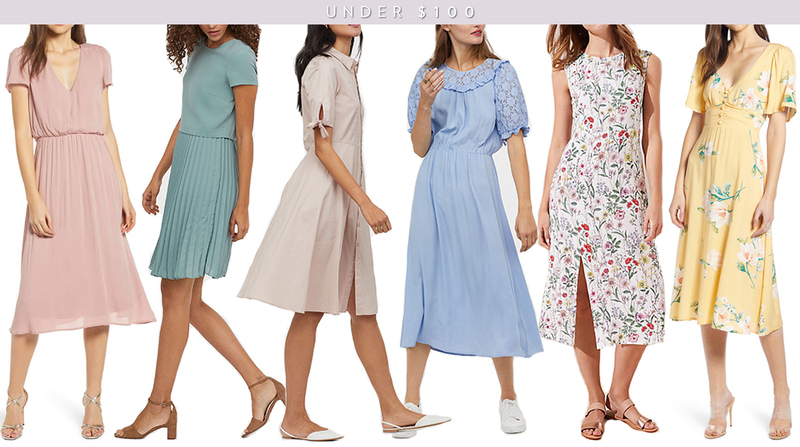 Do you have any suggestions for those of us who loathe pastels and can’t wear unflattering lighter colors without feeling like an Easter egg? I want to look appropriate for the season, but the lightest color I wear is navy. Thank you! Neutrals wasn’t really the point of this post! Haha, but you could check out the suggestions I shared here for other ideas! Thank you. I STRUGGLE with Easter more than any other day of the year because I don’t do cute, sweet or pastel. Lol. Found a black dress I LOVE on your link. I may look like I’m going to a nightclub instead of an Easter egg hunt, but I gotta be me.